We didn’t think we would make it to the Hard Rock Cafe on this trip to Italy, but decided that a visit would be interesting. Although it’s not our priority to seek out an American meal while in Italy, we found it to be culturally important for many reasons. And…the food was good too! Several Italian friends have told us that, sadly, the traditional cinemas in downtown Florence have not been able to make it with the advent of DVDs and online video content. When the Cinema Gambrinus went out of business, there was a large empty building and great hope that the new occupant would respect the history and traditions of the building. Hard Rock Cafe has more than filled the bill. Once inside, you will see that the beautiful interior of the theater has been preserved and upgraded in an interesting way, transforming it into an exciting restaurant. There are lovely friezes above the busy atrium, and once inside the main restaurant you can see the original balcony of the theater and its spacious and enthralling interior. If you don’t want to sample the menu, then just linger at the bar, which is as gorgeous as any you will find in Florence. With its emphasis on philanthropy and community support, the Hard Rock has made a place for itself in central Florence. When in Piazza della Repubblica, go around the corner and check it out. 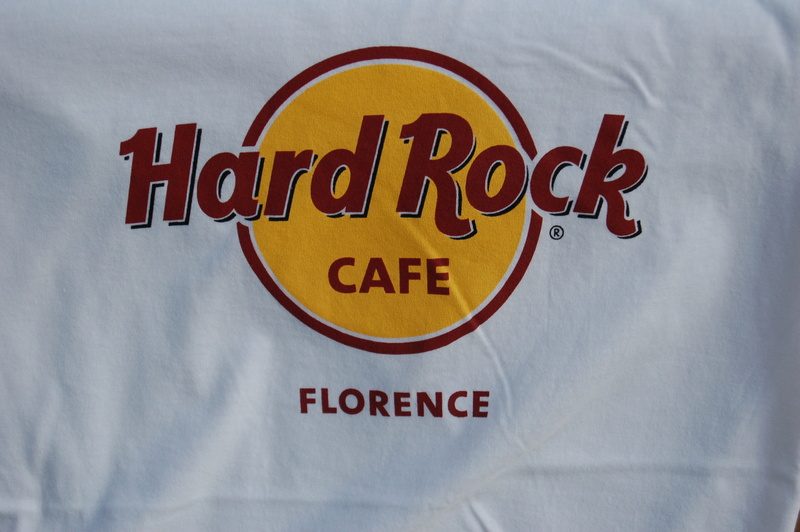 This entry was posted in Italy up close, Tuscany and tagged hard rock cafe florence, hardrock, Italy, Tuscany. Bookmark the permalink.